Originally published in 2009 this new reprint has twenty-three more pages and three more houses. The format is based on years from Bailie Scott's 1900 Blackwell house in Bowness-on-Windermere, UK to Tom Kundig's 2012 Studhorse house in Winthrop, Washington. The author wisely avoids a building for each of the 112 years, that would mean deliberately adding some mediocre structures. 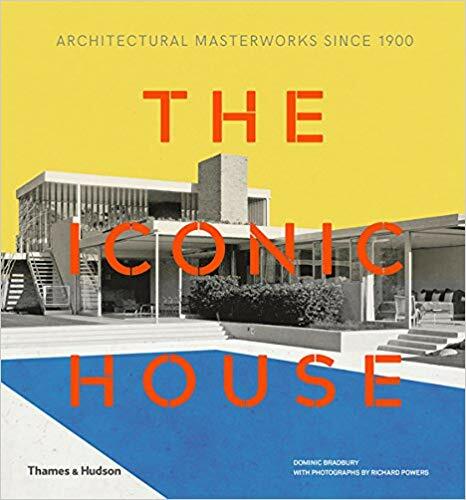 The introduction describes the changes in architecture over the decades and uses sidebars with twenty photos and deep captions to illustrate the points. 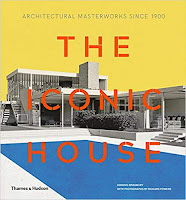 The first few iconic houses reflect the arts and craft movement in Europe and America with the heavy use of wood in their interiors but turn over page sixty-three to see Le Corbusier's remarkable 1931 Villa Savoye in Poissy, France followed by Arne Jacobsen's Rothenborg House in Klampenborg, Sweden, also from 1931 and the moderne style had truly arrived, though in the introduction there is a photo of Rietveld's 1924 Schroder House in Utrecht, Holland, painted white with its precise right-angles and box-like shape. Readers will probably be aware of many of the houses in the book that are rightly regarded as iconic and designed by architects like Lubetkin, Chermayeff, Gropius, Aalto, Neutra, Mies van der Rohe, Saarinen or Lloyd Wright (what book could not include the stunning Fallingwater) but I found the houses from the early eighties onwards quite fascinating. Perhaps not all them could be called truly iconic because some are not that old but they all reveal a creative use of space and materials, for example, Antti Lovag's 1989 Palais Bulles in Cannes with its sensuous curving walls, circular and oval windows or Ken Shuttleworth's 1997 Crescent House in Winterbrook, Wiltshire, UK, this amazing building takes advantage of creative engineering and CAD design. It has no straight walls and the inside edge of the crescent is a complete curving wall of glass. This is a lovely book to hold and look at, almost square with all the photos in color and it's worth saying that because Richard Powers took most of them there is uniform feel to the pictures throughout the pages. I thought it refreshing also to see so many floor plans for these houses. The back pages have a biography of each architect (and nicely their key buildings are noted) bibliography, a gazetteer of houses open to the public. a listing of houses by type and finally an index.